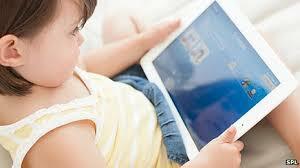 It can be tempting to hand your toddler or 10 year old a tablet to keep them occupied while out to eat. Or turn on the TV to help distract your infant while you, take a phone call. Even let your child read on a Kindle before bed. 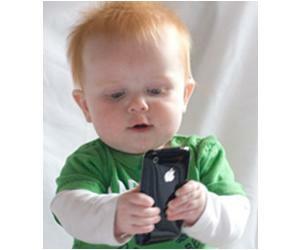 But what is this technology doing do your child’s brain? According to research, impairing their development. According to a new study published Monday in The American Journal of Pediatrics, fussy babies and toddlers tend to watch more TV and videos than infants with less irritability. Kids who have televisions or devices in their rooms have even more challenges ahead. Problems with emotional regulation isn’t the only downfall, some doctors have now found that tablet use and technology may set back development in toddlers and young children. The American Academy of Pediatrics (AAP) agrees, “a child’s brain develops rapidly during these first years, and young children learn best by interacting with people.” They warn parents that passive screen time under the age of 2, and you are setting your child up for mental health problems for life. This is due to their brains’ immense growth during the first 3 years of life. What about those Amazing Tablets? The Association of Teachers and Lecturers (ATL) in the UK warn that rising numbers of children are unable to perform simple tasks such as using building blocks because of overexposure to iPads/tablets, in fact they have little dexterity, holding a pen has become enormously difficult. Video games, interactive screen media, and electronics involve the stimulation of dopamine. Meaning the reward pathways become self-soothing and overtime addicting. This is concerning for children who already have focus issues or genetic precursors for dopamine specific disorders such as addiction, and ADHD, among others. When they are able to focus so heavily on the pleasurable game on the screen, but not their homework or chores it isn’t indicative of a disorder, but rather their brains have become accustomed to prefer the more stimulating activity. They become wired to crave it, as well as other dopamine surging activities. An entire purge of technology will probably send your 8 year old into a cold sweat—but reducing the amount of time in front of a screen is imperative. Get them doing interactive things, even if they say it’s boring. Their brains will eventually feel differently. Another way to help is through testing neurotransmitter levels. Not only does this show the unbalanced levels, including dopamine. It also helps to balance their brain, cutting their cravings for games, and regulating their mood and impulses off the electronics. The last message on moving away from reliance on technology is to remove any electronics from your child’s room. Experts suggest that screen time should be off a full 60-90 minutes before bed, as it activates dopamine—an excitatory neurotransmitter.